Last year, we blew the lid off Modern Warfare 3 months before it was due for release. It was the biggest leak we'd seen, let alone written about, in almost a decade. It was, in short, one hell of a story. It was also only half the story. The other side, that of how publishers Activision reacted to the leak, is just as interesting! In this video (linked below) from marketing site Ad Age, Activision CEO Eric Hirshberg goes into great detail on the company's response, and how it turned what many in that side of business would have called a catastrophe into something they could actually work with. 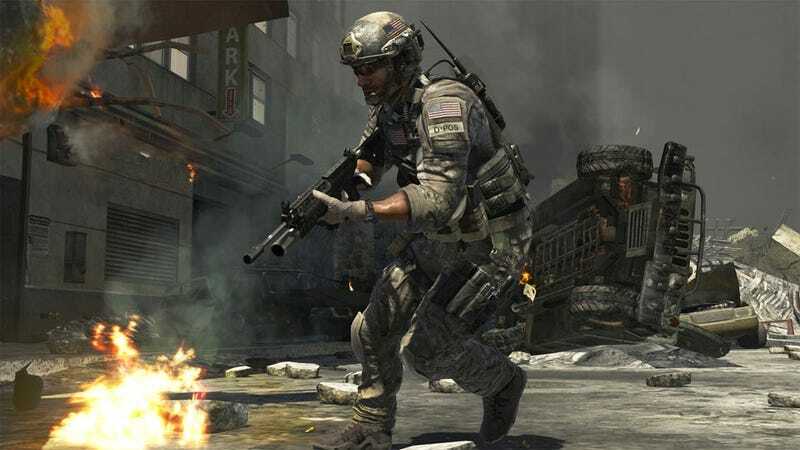 "We were probably nine months away from launching Modern Warfare 3", Hirshberg recalls. "I was actually at my physical therapist, I'd just had surgery on my lower back, and my iPhone starts doing the nnnnnn, nnnnnn thing"
"So I limp over to the thing and look at it, and there's been this massive leak." He then goes into specific detail on how the different wings involved in the game's marketing and production kicked into gear and reacted. As a side of the business we don't normally get to see, it's fascinating stuff.